Jean-Paul Nerriere was a senior executive with IBM. Posted to Japan in the 1990s, he made one simple, but brilliant, observation. In his work for IBM, Nerriere noticed in meetings that non-native English speakers in the Far East were communicating far more successfully with their Korean and Japanese clients than competing British or American executives, for whom English was the mother tongue. Standard English might be all very well for Anglophone societies, but out there in the developing world, this non-native ‘decaffeinated English’, declared Nerriere, was becoming the new global phenomenon. In a moment of inspiration, he christened it ‘Globish’. Created in 2004 by Frenchman Jean-Paul Nerrière, Globish uses a subset of Standard English grammar, and a list of 1500 English words using a subset of established rules. It is the opposite of Babel. The goal of Globish is to create a new linguistic foundation for getting the job done in international business. Its unique advantage, unlike Esperanto, is that it is not an invented vocabulary. 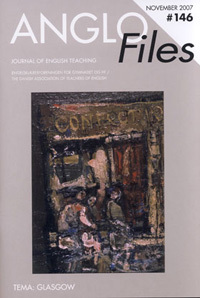 The underlying principle was to create a level playing field for non-primary English speakers to facilitate communicating with primary English speakers. It’s like playing soccer with people from other countries where you might not speak the language fluently, but you all know the same basic words and the rules of the game. Japanese Translation of “Globish The World Over” from Toyo Keizai is now on sale in Japan. This book is very unique in Japan as the text is written in Globish and Japanese throughout the whole book. It is presented in the same manner as the other "GLobish The World Over" books which have been translated into Spanish, Chinese, Polish and so on. The Japanese translation was made by Global Human Resources Japan (GHDJ) in Tokyo and published by Toyo Keizai. Japanese readers who are interested in Globish but speak little or no English can now understand the value of Globish. Readers who learn English may also use it as a teaching material. In addition, Toyo Keizai published a “Special Edition of Weekly Toyo Keizai 2011.3.25 edition”. Globish is introduced in various ways including business scenes using Globish, which provides MP3 listening material for the purchasers. (www.toyokeizai.net) It is expected that many Japanese readers will understand the Globish concept by reading these books. The International Globish Institute has announced a publishing contract with Langenscheidt, the leading publisher of language and foreign language products for over 150 years, to publish and distribute the German language version of Globish The World Over, by Jean-Paul Nerrière and David Hon, in its successful new department for fiction and nonfiction books launched in 2004. The book was the first in the world written entirely in Globish, to demonstrate the ability of Globish to communicate important ideas, and sold first as an e-book, and a paperback on the www.globish.com web site. Globish The World Over discusses how Globish portrays the way many of the world's non-native English speakers now use that language in a pragmatic way, as a tool to communicate: with limitations in words and structures, but with an extremely extended outreach to people of all nations. The word "Globish" itself indicates that English is no longer owned by English-speakers, and it no longer needs to display the many cultural traits of a few Anglophone nations in order to be useful to hundreds of millions -- perhaps billions -- of the world's citizens. Since its e-book publication last year, Globish The World Over has been translated into 7 other languages including Spanish, Chinese, Japanese, Russian, Polish, Dutch, and Hungarian. This is its first publication in German, and its first with a major publisher's distribution. Previous books of Mr. Nerrière have been popular in French, Korean, and Italian. Matsumoto holds regular parties at the Tokyo-based company where employees must speak globish, or global English, a language for non-native speakers using basic grammar and a vocabulary of 1,500 words. Fast Retailing Co., Asia’s biggest clothing chain, and Internet shopping mall Rakuten Inc. are also promoting English to help employees communicate with international partners and expand overseas. “My English is totally globish,” Matsumoto wrote on his weblog on July 1. Thomas Friedman’s ‘Eureka moment,’ as you may recall, came in Bangalore when Nandan Nilekani, the then CEO of Infosys, used the phrase ‘the playing field is being levelled’ to describe the new opportunities available to the India-based computer company. Reminiscing this, Robert McCrum writes in ‘Globish: How the English language became the world’s language’ (www.landmarkonthenet.com), how in the new knowledge economy, cities such as London, Boston, San Francisco, Kuala Lumpur, and Bangalore, could all be linked simultaneously, offering a new challenge as much for a modernising India as for a globalising America. From Barack Obama's simple "Yes We Can" presidential campaign slogan to countless Chinese people sending text messages using English letters, "Globish" is fast becoming the dominant language of this century. So says British author Robert McCrum in his new book "Globish: How the English Language Became the World's Language," which expounds on the mishmash of English and other tongues that connects people from Beijing to New York. McCrum takes the term Globish from Jean-Paul Nerriere, who coined the word in 1995 and has written books on the blunt new form of English that uses about 1,500 words, employs short sentences with simple syntax devoid of idioms and uses lots of gesticulations to make up for the lack of nuanced language. Q. Do you like the term “Globish’’? A. I don’t love it, but I think it does the job. Since writing “The Story of English,’’ which was 25 years ago, I’ve considered alternative descriptions until I was blue in the face. Once I saw this, which Jean-Paul Nerriere coined in 1995, I thought this is it. As we say in England, it does what it says on the tin. Q. There’s a certain irony in the coinage coming from a French speaker. A. I’m aware of that. It should be pronounced glo-BEESH..
English Dominates the Web? My Money is on Globish! If you’ve ever received a text or a Twitter tweet from one of your kids, you know that English per se is not really the language of the Internet, but rather is just the basis for a new bastardized language that is being born as we speak. One real contender to be the new lingua franca of the Net era is Globish: it reduces the 260,000 words of the English language down to a 1,500 word lexicon. Globish is easier to learn for non-English speakers and fits perfectly into the fast-paced, micro-blog culture that is naturally forming around the Net. A Frenchman's quixotic attempt to build an empire based on the global dialect dubbed `English-lite'. Do you speak Globish? No? Think again: If your English is limited, but you know enough for the business you're in and your contacts around the world, you almost certainly do without realizing it. That the French resent the global supremacy of the English language is nothing new, but as Hugh Schofield finds out, a newly evolved business-speak version is taking over. A new form of English is developing around the world, used by people for whom it is their second language. Globish has only 1,500 words and users must avoid humour, metaphor, abbreviation and anything else that can cause cross-cultural confusion. They must speak slowly and in short sentences. Funnily enough, Jean-Paul Nerriere (Founder of Globish) holds up the late Palestinian leader Yasser Arafat as an excellent exponent. An experimental project of development and implementation of primary science experiences was taken up for schools run by non-government organization (NGO) in small habitations of the desert areas of Rajasthan state. A three-month school-based experiment of introducing Globish was undertaken with grade three rural students (N=30; age: 9-10 years) who had acquired the literacy skills from the prescribed textbooks at grades one and two. The experimental course consisted of 500 Globish words out an identified list of 1500 such words. The procedure consisted of internalizing the Globish words through flash card drills; word puzzles; clapping rhymes and sentence forming substitution tables. Thereafter, the prescribed textbook was introduced. The answer to the 2nd question is clearly "no." Latin was once the shared language over a vast area, but that was only in Europe and North Africa. Never in the history of the mankind has a language been as widely spoken as English today. English is the language of intercultural business communication and the key to prosperity. English is no longer spoken just among native speakers, but it is the language in which Croatians speak to Germans, Germans to Italians etc. About 50 years ago, English had more native speakers than any language, but today English is also challenged by other fast-growing languages such as Mandarin, Spanish and Arabic. A surprisingly objective and fair article about Globish in a magazine called Agoravox, normally an ambassador for Esperanto, an organisation which honors globish with its strong hostility. An immense privilege for an idea which was first published only 3 years ago, compared with 120 years of effort to promote Esperanto. C'est l'estimation de l'expert britannique David Graddol, cité par le Financial Times, dans son nouveau livre English Next. Il y a cinquante ans, l'anglais était la première langue maternelle du monde, à l'exception du mandarin. Aujourd'hui, elle est supplantée par l'espagnol, l'hindi-ourdou et bientôt l'arabe. Malgré le recul relatif de l'anglais comme langue maternelle, une forme internationale d'anglais, surnommée "globish", s'est imposée comme lingua franca, notamment dans le monde des affaires. 53 % des enseignements dispensés aux étudiants internationaux dans le monde sont en langue anglaise, contre 11 % en français, 9 % en allemand, 5 % en chinois, 3 % en japonais et en Russe. Anglo-Files, a publication in Denmark, focusing primarily on the English speaking community, issued a 5 page article about Globish in its essay about globalization. In its edition from 1st June 2007, Globish gets an unexpectedly positive coverage in a country where English comes across almost as naturally as their native Danish ( which has historically many roots linked to English).